First tour in 18 years! One nineties revival we can really get behind - the Backstreet Boys are back! That's right, Nick, Howie, AJ, Kevin and Brian are back and heading out on their biggest tour in 18 years, giving you the chance to re-live their biggest hits in areas across the nation. 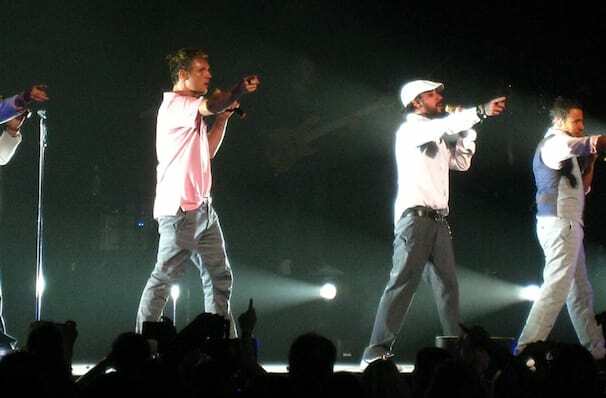 Formed in 1993, Backstreet Boys (or BSB) were one of the decade's biggest bands, consistently releasing bop after bop including multi-million selling singles 'I Want It That Way','As Long As You Love Me','Everybody', and many many more. Now, following an eventful hiatus the boys are on the rise once more with a new record DNA, a single featuring Shawn Mendes, and this brand new tour. Discussing the news, Brian said "The journey is ongoing with us and there is so much left to do. We're living the next chapter that hasn't been told yet, and that's exciting." It certainly is boys! About Tulsa Theater: We are an independent show guide not a venue or show. We sell primary, discount and resale tickets and prices may be above or below face value. Seen Backstreet Boys? Loved it? Hated it? Help your fellow Tulsa Theater visitors by leaving the first review! Sound good to you? 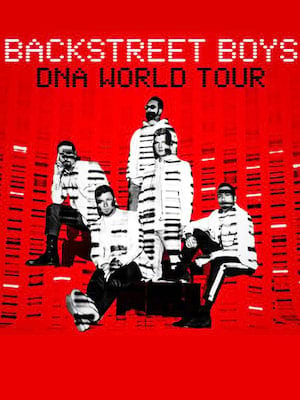 Share this page on social media and let your friends know about Backstreet Boys at Bank Of Oklahoma Center. Please note: The term Bank Of Oklahoma Center and/or Backstreet Boys as well as all associated graphics, logos, and/or other trademarks, tradenames or copyrights are the property of the Bank Of Oklahoma Center and/or Backstreet Boys and are used herein for factual descriptive purposes only. We are in no way associated with or authorized by the Bank Of Oklahoma Center and/or Backstreet Boys and neither that entity nor any of its affiliates have licensed or endorsed us to sell tickets, goods and or services in conjunction with their events. Tulsa Theater is part of the Theatreland Ltd Collection. Established in 2003, Theatreland offers the largest individual collection of websites providing complete, impartial guides to all the theatrical, musical and performance arts events and venues in the world's greatest theatre cities, from New York's Broadway to London's West End and from the showrooms of Las Vegas to Shakespeare's Globe Theatre.